Val Heart, The Real Dr. Doolittle is an animal communication expert, animal whisperer, animal behaviorist, internationally recognized pet psychic and master healer for people and their animals. She is also a world-renowned Equestrian Health, Behavior & Performance Expert. She works with celebrities and other animal lovers who are struggling with their animals because after 10 trips to the vet they still don’t know why their animal is sick, they can’t get their dog to stop eating their shoes, their horse refuses to jump, bucks them off or runs away with them. Val solves problems in minutes not years because she bridges the gap between you and your animals. She also loves teaching animal lovers how to communicate with animals themselves so they can save money at the vet, solve their own behavior, performance and training problems, and learn how to deepen their heart connection with all animals. 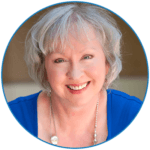 Paula Gregorowicz hosted an Intuitive Intelligence Telesummit called The 12 Days of Intuitive Intelligence. She carefully handpicked a dream-team of guests she wanted to interview and I was one of them. It might seem like an unusual approach to becoming enlightened and developing your intuition. Usually, when a spiritual seeker is interested in developing their intuitive intelligence, they learn from human gurus and teachers. However, your animals are sometimes your best teachers (and healers). Why sometimes the problem isn’t with them, it’s with you! Be sure to listen to the end there’s a $200 gift waiting for you. Do you want to learn how to start communicating with your pets? Start here! Get your free ebook so you can have a stronger bond & improve your relationship with your pet!